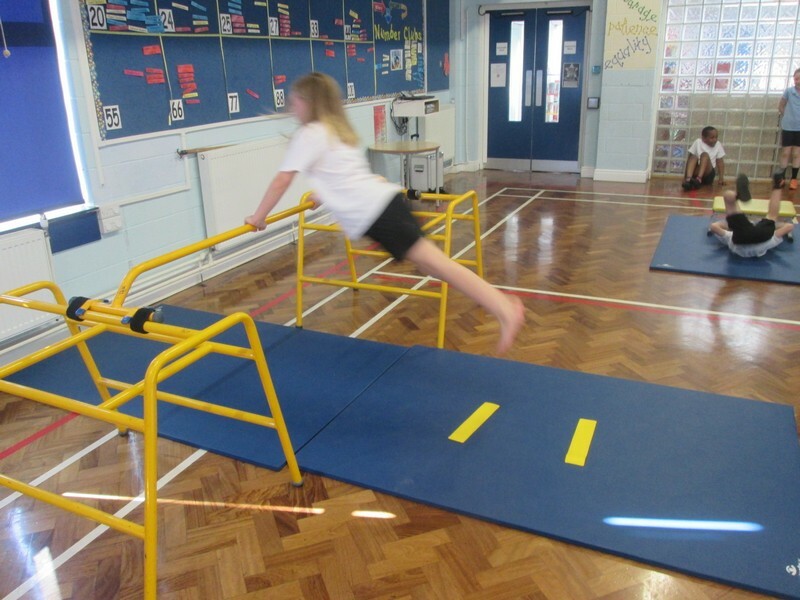 In this week’s PE lesson, Kestrels enjoyed an exciting lesson with Mr Gill, of Gymnastics using a wide range of apparatus. One of the stations was particularly difficult. 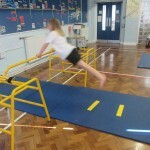 Mr Gill set the task of using a Gym bar to try to jump as far as the yellow marks on the mat. 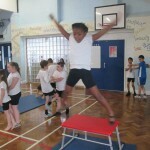 The children really enjoyed this and worked as a team to help each other jump further. 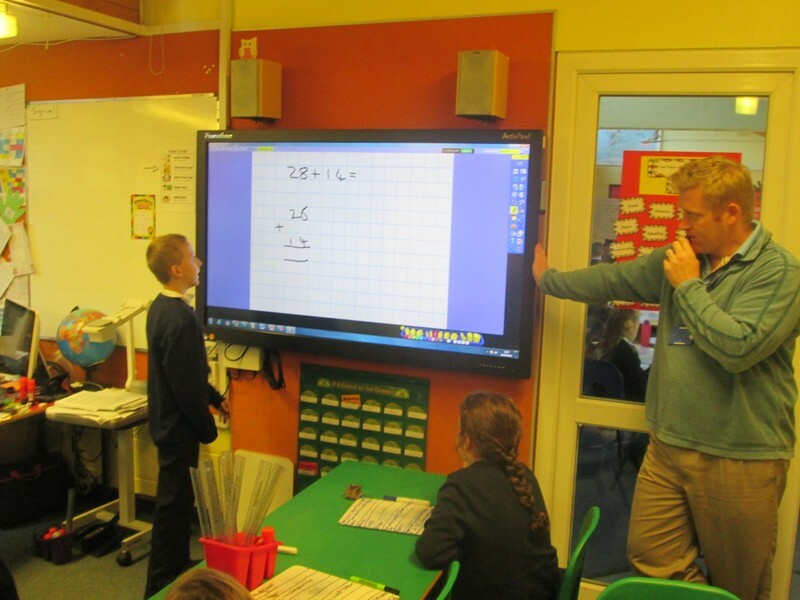 On Monday, Mr Johnston set Year 5 a challenge in Maths to begin to create a script to show someone who didn’t know how to do column addition, to add two large numbers together. 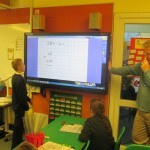 Cody volunteered to show the class on the interactive board, how to complete a sum that Mr Johnston had given them. 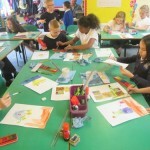 In this week’s Art lesson, the children were created a portrait based on Monet’s Sunflowers painting. 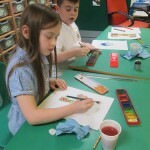 The whole class produced some very impressive portraits using paints, pastels and pencil crayons, some even using a mixture of them all. 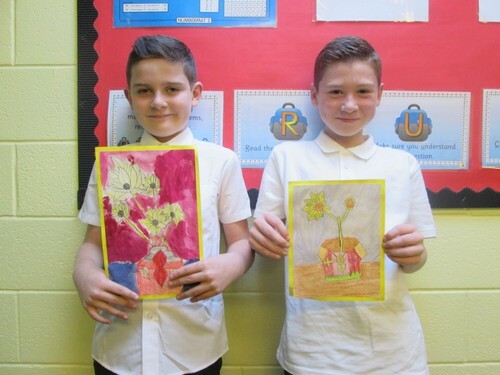 Archie and Joshua in particular showed hard word and endeavour. 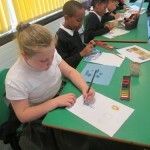 Picture of them are below and the rest of the class. Mr Johnston sprung a little surprise upon the Kestrels today in speaking and listening today. He explained the idea behind Radio 4’s “Just a minute” radio show when players can talk about any topic they wish for a minute. 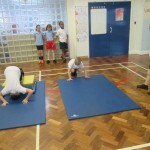 Some of Kestrels were incredibly brave and stood up to the challenge that Mr Johnston set, even though the children had no time to prepare and have never done anything like this before. Samuel, Mya and Cody did wonderful speeches about some of their passions and Emi also stood up for a minute and Mr Johnston gave her and the class some good advice when it is their turn. Mr Johnston, Mrs Johnson and Mr Koeri were very proud today! 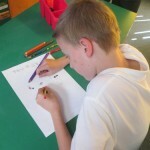 In class today, the Kestrels started to nominate and vote for who they would like to run for school council. The competition was very fierce but all children were very respectful and supportive of each other when listening to the well thought out speeches. There was a huge list of nominations but we were able to narrow them down to a select few, and these children will produce their final speeches to read in front of the class tomorrow. And of course winners will be announced here! There will be 2 from each class. 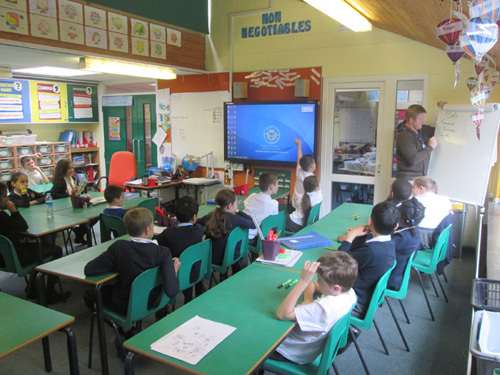 There will be added pressure as Mr Johnston told the class that Mr Koeri will be running the council this year! 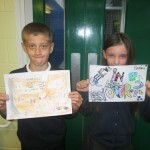 Year 5 have been very busy this week! 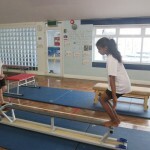 On Monday, the Kestrels started their PE lessons with Mr Gill. 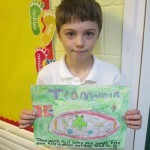 Their sport for the half term is Hockey. 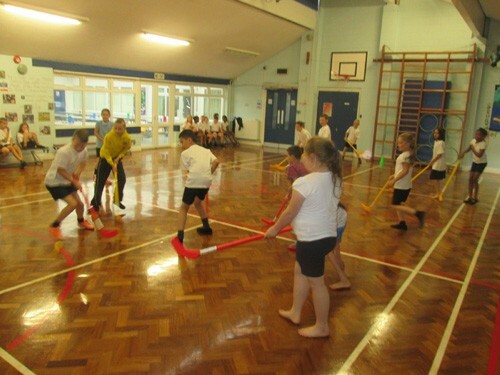 They displayed some good listening when Mr Gill spoke about using different skills in Hockey. 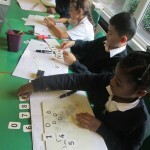 We have looked at working out large multiplication sums in different ways such as number lines and grid methods. 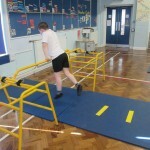 Children learned how to use these effectively. 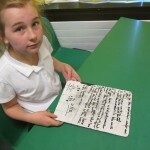 The children also practiced completing a large multiplication square which was began empty. The children began to write their recounts about events they have enjoyed this year, and they are looking to be very exciting and interesting recounts! 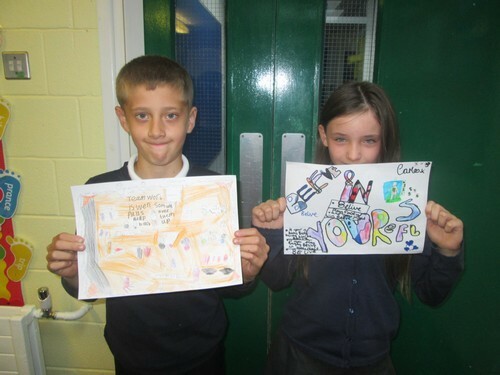 In addition to this, the class worked very hard to make colourful and inspiring posters to add to our display about some of these values. 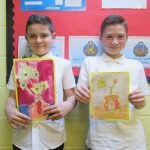 There are some pictures of the children’s work below. 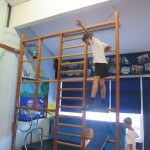 On Friday, Mr Johnston set the class a comprehension task which the all the children completed to a high standard. 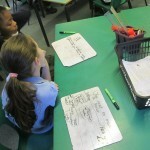 In Maths, the class were giving a cold task investigation to complete. 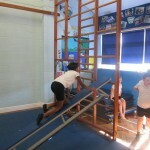 After some head scratching and discussions, the children showed a lot of resilience to work through the tasks given. 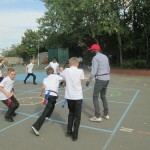 As a reward for all the excellent first week after the summer holidays, we took the class outside for a fun game of tag Rugby in which Mr Johnston and Mr Koeri also got involved! 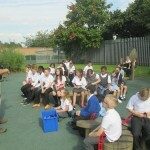 Thank you Year 5 for a fantastic first week and helping Mr Johnston and Mr Koeri to settle into life at Bells Farm! 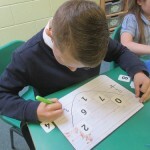 In Maths, we have been concentrating on multiplication and encouraging the children to complete a grid within a time limit. 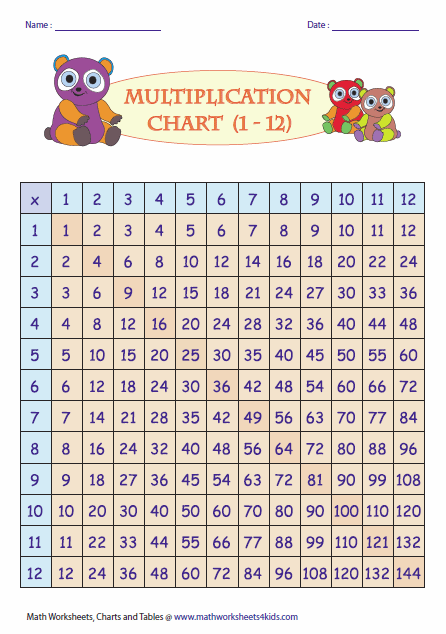 We also learned about different strategies to learn all of the multiplication grid. If you would like to support your child in learning their times tables, as they are a key to many aspects of Year 5 Maths, please examine the links below. Schoolhouse Rock: Multiplication Rock (#'s 0-12) from Ryan Stein on Vimeo.